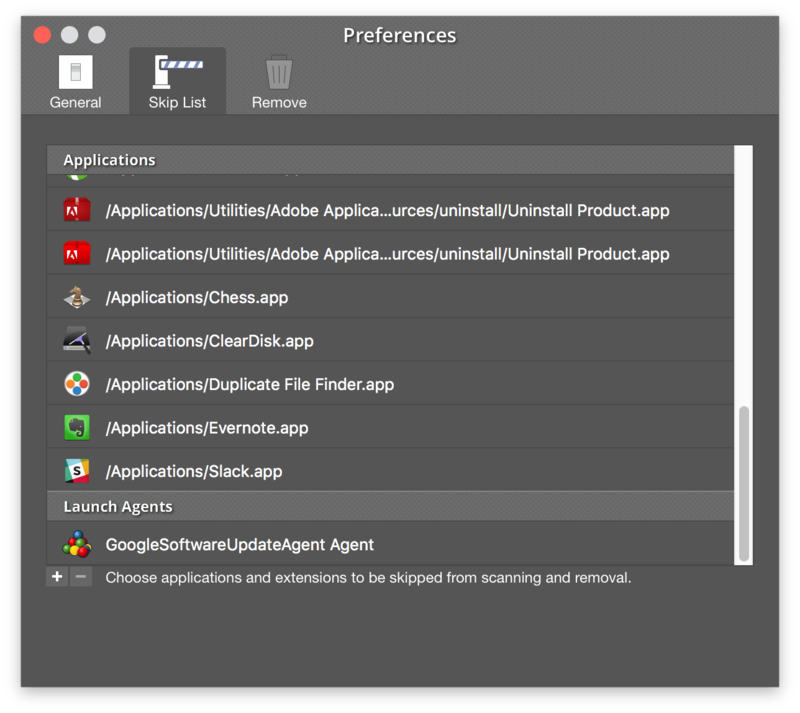 Using the application’s preferences, you can customize the scanning process of App Uninstaller. Turning on the Large & Old option gives you the ability to put a threshold for scanned applications corresponding to largest and oldest criteria. 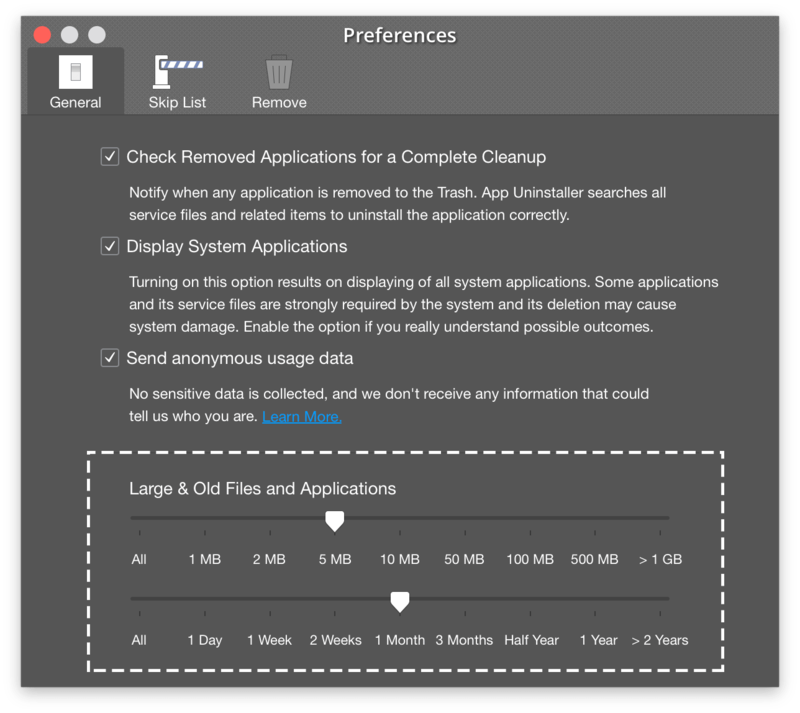 Add applications to Skip List to exclude them from being processed, while scanning and searching for temporary files. You can also add any of the listed items to Skip List with the right-click menu → “Add to Skip List”. 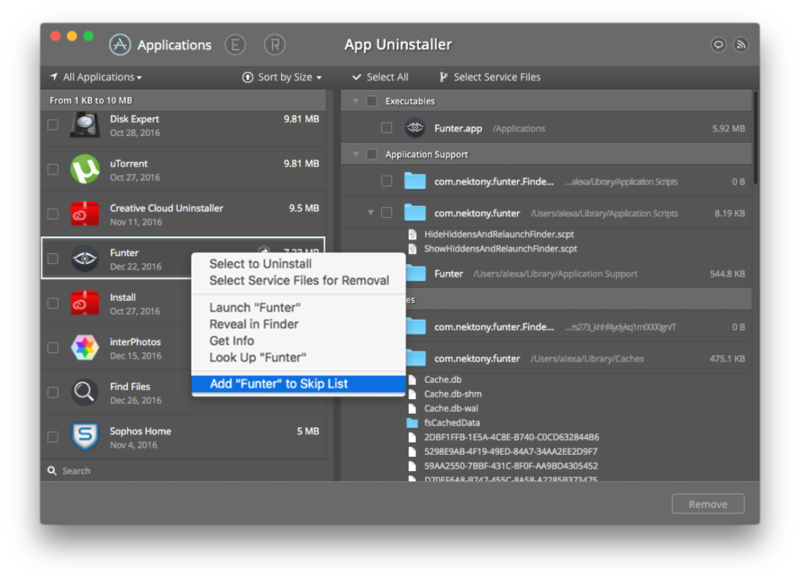 By default, App Uninstaller removes apps and their service files to Trash. 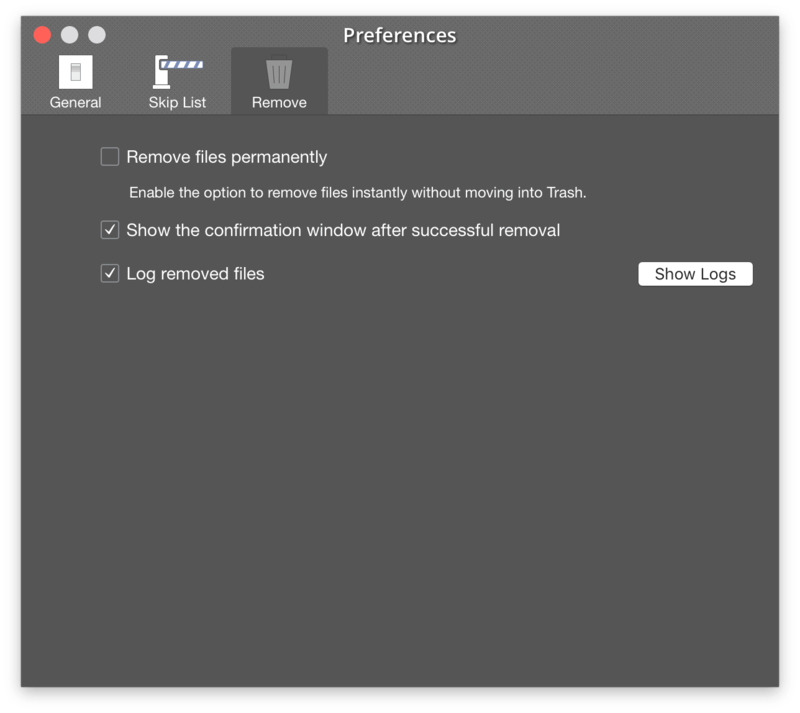 In the Remove section, you can choose whether you want to remove the files permanently or move them first to Trash.